Although the Palestinian struggle is as a great source of inspiration for many Palestinian artists, the political character of Palestine does not solely define Palestinian art. Palestinian modern art has become part of the successive process in which Palestinian culture and heritage is celebrated. Every now and then, we hear about creative Palestinian youth who use different materials to produce high quality artwork in an innovative ways using makeup, coffee, fire and other materials to draw and to paint Palestinian modern art. It is important to show the world that being a Palestinian youth is not just about misery and suffering, but also creativity and talent. The youth is the future, these creative young artists also send a message of peace to the world; they are painting art for hope and life. Their artworks are a personal reflection on their life journey through their lens. They are mainly inspired from experiences infused in their memories from their life in Palestine. For my final assignment, I chose to write a story about a new kind of artist technique by a Palestinian Youth. The smell of spices in the kitchen is a sign for making food as it is commonly known for, but it is less known for making a beautiful painting. Recently, I was reading about a talented woman from Gaza her name is Walaa Abu Al-Aish, 21 years of age, who has been inspired to draw using spices instead of color mediums. The qualities of the colors of the spices are not affected by external factors and remain constant. Further, the high costs of regular color mediums are not always available in GAZA. 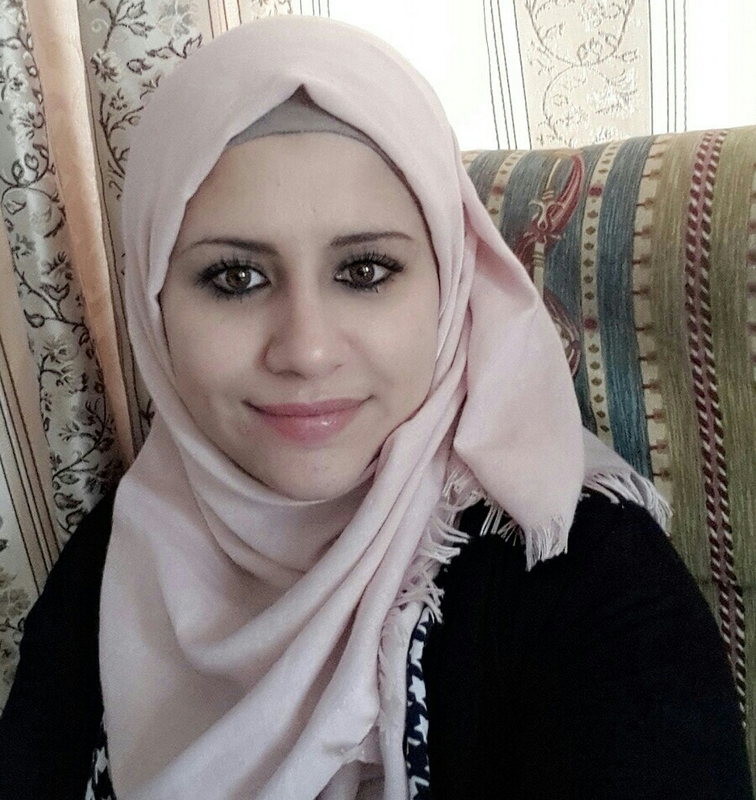 Given that her parents supported her love of art from childhood, she has always looking for ideas to draw and paint, her ideas for her paintings is a glimpse of her life and her daily circumstances living in GAZA. Her talent surprised me; she paints her paintings by using cumin, safflower and other common spices. She mixes certain spices to create a specific piece of art, just holding her paddle softly with her hand and drawing a character, she mixes some cocoa, cinnamon, cumin, safflower and others spices. The smell of the spices appeal to her senses, making her itch her nose and then sneeze before the painting is ready to be presented, full of flavor, vibrant with colors and of high quality. The young artist is not only using spices as an alternative to the colors, she’s also using pomegranate and henna which makes her artworks more enlightening. She also draws the leaders, characters, and symbols that our history will never forget. She starts to mix some cocoa and cinnamon on her color pallete, making some shapes while leaving a lingering and a tasty smell of struggle, you can feel it everywhere, and here it is, a painting for the late president Yasser Arafat. Adding little cocoa to form the poem lines and using Pomegranate to form others, reminding us of the famous poems we learned in school, the painting of the poet Mahmoud Darawish is then ready. She also takes us to a holy place with her pallette to draw the Dome of the Rock decorated with gold-colored dome condiment “Safflower” which makes the dome look closer and realistic. These are just some examples of her beautiful paintings. Walaa Abu Al-Aish has a unique and different message that she wants to share with people in a different way. She has participated in many exhibitions about women and women’s rights, and won the first place at the sector level in the gallery of Earth Day on the Saraya. She has also participated in the murals about the Nakba and others. Her artwork connects the Palestinian issue with the world through her artwork. In reality, the people of Gaza are inspired to make new and unique things in beautiful ways that affects others; art and culture is soft power generation of every society. Palestinian youth have the same rights and aspirations as other young people around the world. The youth is the largest part of our society, and they deserve change for the better. They use art to get support for their ideas. They draw because art is a value, it is a visual reflection of the Palestinian struggle to describe their experiences, stories, sufferings along with their hopes and aspirations. Posted on July 21, 2016 July 24, 2016 by sarahperlePosted in Current Events, EnglishTagged Art, gaza, hope, palestine, spices, youth. The Palestinians talent youth draw future palestine state. And palestine has many of wala.